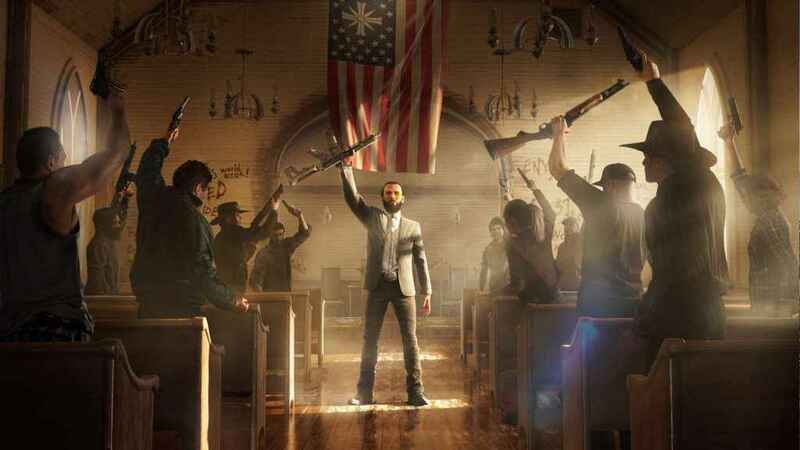 The Far Cry 5 side arm takedown is one of the most effective ways to disarm and eliminate enemies in Hope County. This pistol takedown technique is crucial if you want to beat the specific challenge. The pistol takedown challenge requires you to get five of these specific kills. First up, we recommend you unlock the Takedown Mastery perk. It will cost you six points, and it's available in the Assassin's skill tree section. This allows you to unlock chain, melee throw and sidearm takedowns. You need to execute the Far Cry 5 side arm takedown when you see a group of two or more cultists. Head to one of them and pull of a normal takedown using R3. You'll now see the ability to press L2 for a side arm takedown. Press and hold L2 and then press R2, which will send shots raining down on the cultists in that area. So, that's how you complete the pistol takedown challenge! If you're looking for more tips, check out our stealth guide, and other Far Cry 5 walkthroughs.